Today, the West Loop is among Chicago’s most desirable neighborhoods for well-to-do young urban professionals, given its proximity and access to the Loop. West Loop real estate for sale runs at an average sales price of around $310,000, with many new and rehabbed units available along Madison Street and Washington Blvd. The median sale price for a one-bedroom condo is around $267,000. 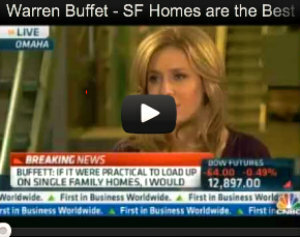 Prices for a two-bedroom unit average at around $370,000. Detached single-family homes in the West Loop Real Estate market are far more expensive reaching on average $850,000 and often surpass the million-dollar mark. The West Loop was a thriving warehouse district in the 19th century which, for today’s property investor, offers trendy and true mix of loft spaces with exposed Chicago common bricks, wood beam ceilings and lots of open space. A ten minute walk from downtown and Chicago’s Union States makes this neighborhood a desirable location for those looking for urban living with a neighborly feel and access to street parking. Street activity is robust with a healthy mix of residential and commercial properties. Bars, restaurants, hair salons, dry cleaners, and architectural offices have settled in the West Loop in recent years with new establishments popping up along the east-west main streets as well as north-south connectors. What has become known as Restaurant Row, Randolph Street running through the West Loop offers many culinary options for food-savvy residents. Japanese, Thai, and American food along with Middle Eastern eateries can offer an exciting evening out. Greek Town is also located along the eastern edge of the West Loop neighborhood, adding yet another venue for a cultural dining experience and entertainment. 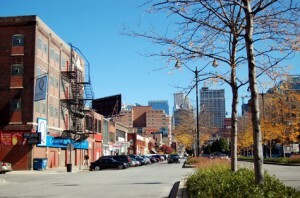 Properties in the West Loop also have access to a number of parks. The recently renovated Skinner Park is located on West Adams Street just four blocks north from Union Park, perfect for picnics, dog walks and other outdoor activities. Union Park has a rich history and was created by the request of the city in 1853, later becoming a symbol of cultural integration during the civil rights movement as people from different races enjoyed the park’s green open spaces. Developers here are working to preserve the original character of the area working to incorporate modern amenities into its history. Along with new developments, rehab projects are common with old warehouse units being converted into luxury loft and condominium spaces. 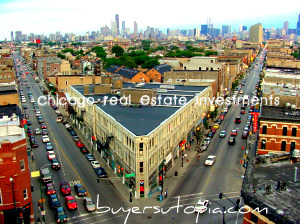 Overall, the West Loop is a good place to shop around for young professionals, couples, and die-hard, double income families looking to settle into a single-family home amidst an urban environment.